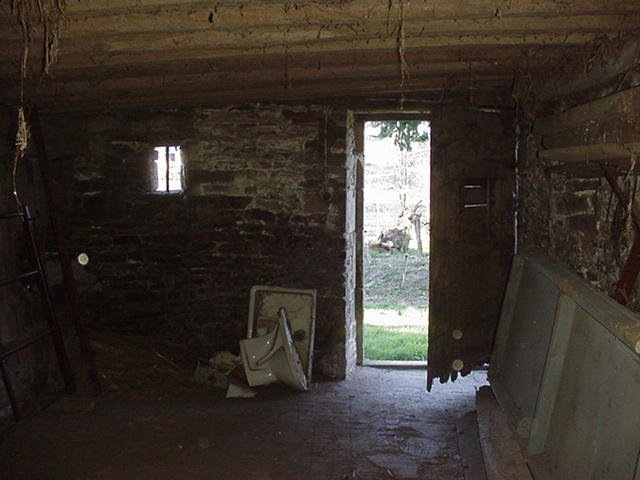 The date of construction of the oldest part of the house is not known, however, it was built when people were generally shorter as evidenced in the height of the doors. The colombage room on the right , with the beams and clay filling, is the original and predates the other two rooms. 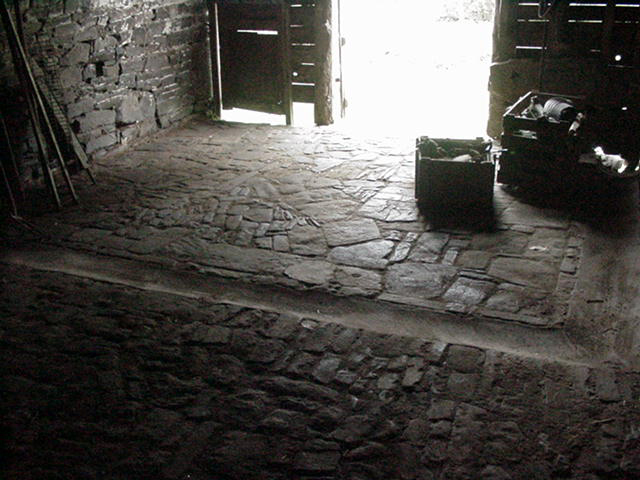 The back door of the house and stone storage room on the right and wood and tin garage on left. Notice the height of the door. 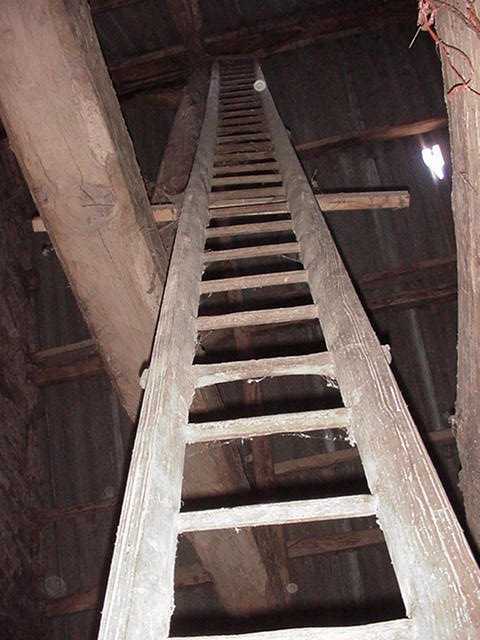 The original room has a staircase leading up to the attic which is floored with clay and in order to gain access to the more recent portion of the attic this hole was made in the former end wall. This wood floor forms the ceiling of the living/dining room in the center of the house. 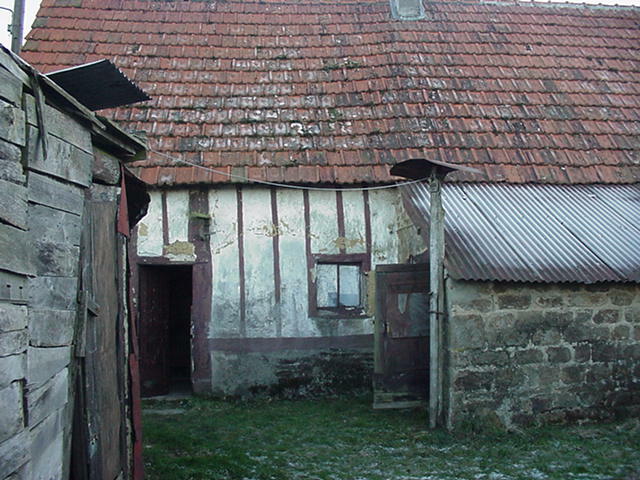 Note the tiles of the roof. I went to Normandy,France to work on a music and art project with a friend, Olivier Jouin, who has formed a band which he calls ARMADILLO. He saw a couple of my UNUSUAL HOUR performances with Calvin Russell in 1996 and we met and became friends. He honored me by naming his group after the animal which I helped make a symbol of Texas culture. We started rehearsals in mid November and had our first ARMADILLO/MR FRANKLIN UNUSUAL HOUR performance in Caen on December 14,2001. The show was well recieved and now we are working on our first recordings together in Olivier's recording studio in Tinchebray, STUDIO MOULIN NOIR. 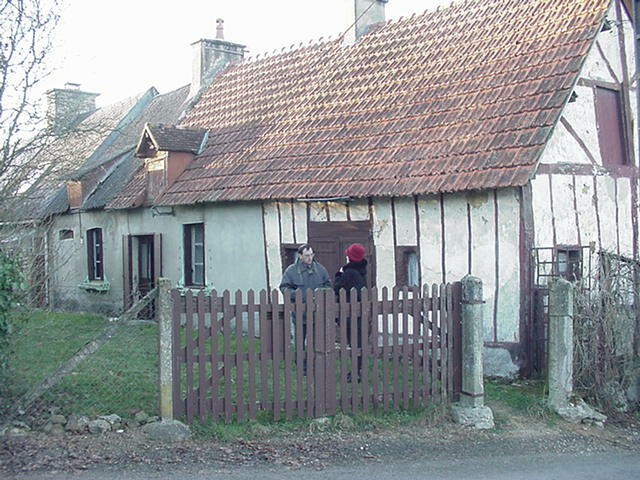 Tinchebray is the birthplace of Andre Breton and is where the painter Ferdinand Leger studied. 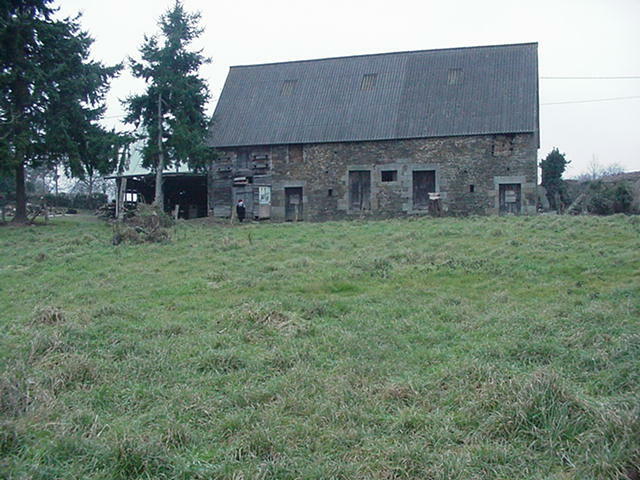 In order to be here for our project, I have bought an ancient stone barn (la grange) in Vaudry and an old house in le Val Saulnier and plan to live here in this beautiful landscape between Paris and Le Mont-Saint-Michel. 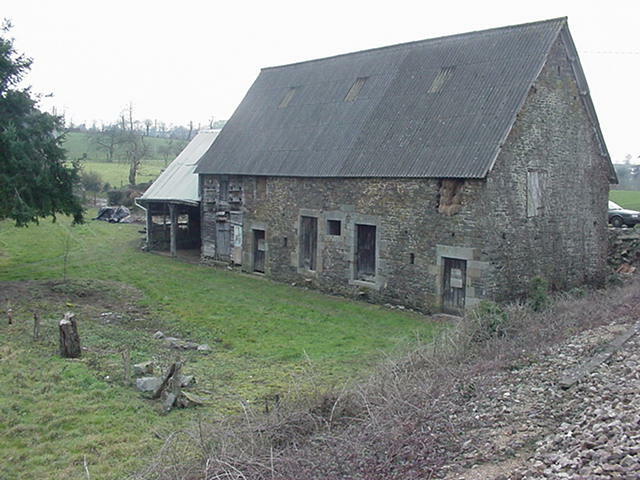 The grange I have bought was built in the 1700s and the house sometime between then and the 1800s. We will have our cd ready by the summer, so keep in touch to learn about this exciting developement.